Top 20 Quickest/Fastest STOCK TURBOS for 2014! Went to the shootout last weekend and ran a new personal best. I was running in Max Effort so my car isn't setup well for drag but did pretty well. 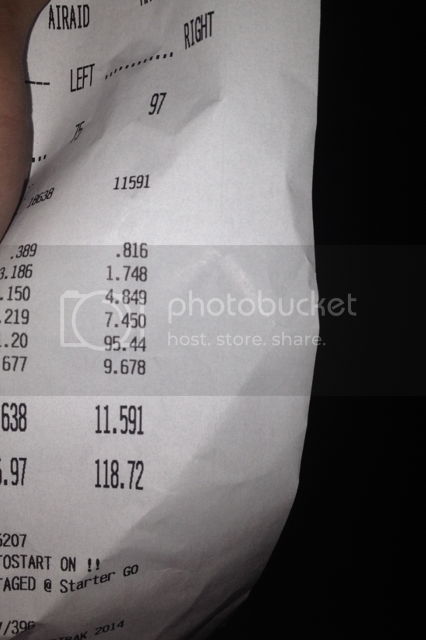 I ran 11.423 @123.62. I picked up 3 mph over the last time to the track and didn't change anything. I think with a better 60 it has a 10 in it. ^^nice! yea your MPH shows you can def be at a quicker ET. do you have weigh reduction? e85? how much boost? It has your basic weight reduction. On e85 witha peak of 27 lbs. Which is down. I should be around 30 lbs. 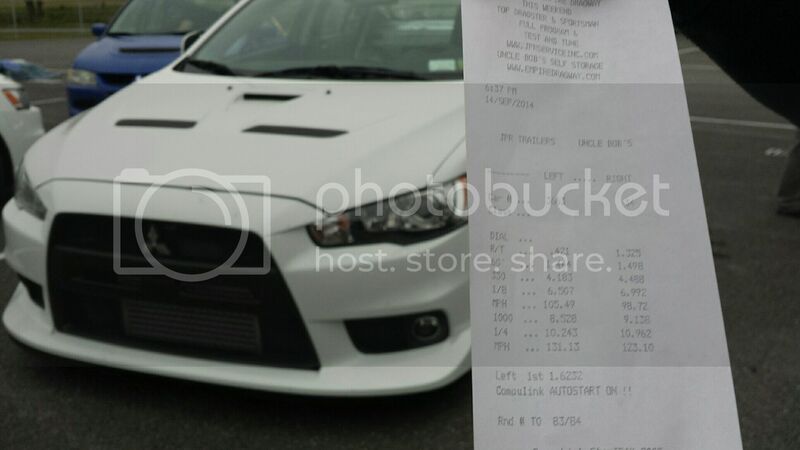 Saw that on STM's Instagram page... Congrats on breaking the stock turbo/motor record for the Evo X! Are you on stock cams as well? Yeah I broke the record we set back in may from 11.1 at 121 lol. Nothing more fun than racing yourself. The motor is completely bone stock from the oil pan all the way to the valve cover, well minus the valve cover if you wanna be technical because 2013's didn't come with the aluminum one. That is awesome. How much boost are you running? And what power level? Went back to the track tonight. Got a lot more used to launching my car. had several consistent 11.5-11.6 runs. 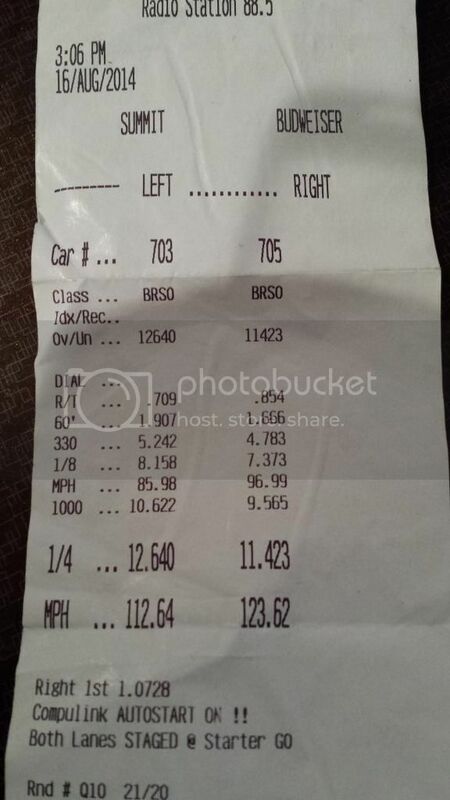 Best run of the night was 11.59 @ 118 mph. had a 1.6 60' on a previous run. 1.7 60' on this run. Car is bolt ons and E85 with stock block stock cams and turbo with 95K miles. made 398/380 last time i dynoed. 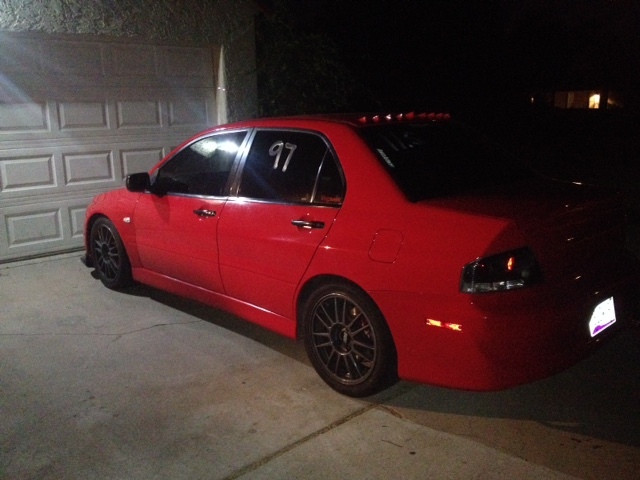 Im sure if i would have had Evo 8 gearing i could have went faster. Having to go into 5th really slowed me down. nice work my friend. updated. Quick Reply: Top 20 Quickest/Fastest STOCK TURBOS for 2014!